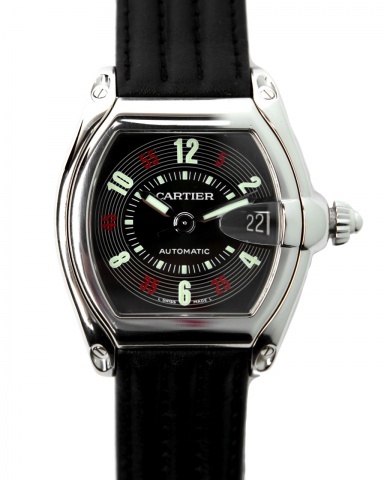 Cartier / Casual / Stainless Steel / 40-44"
The Cartier Roadster Vegas Edition watch is a sporty yet elegant timepiece perfect for formal occasions. Its appearance, shape, and sturdy design was inspired by motor racing of the 1950’s and 1960’s. With its interchangeable strap system, the Roadster can be easily transformed from a leather strap to a metal bracelet, allowing it to be utilized for every occasion. The Roadster features an automatic movement, durable stainless steel case, and a date feature at 3 o’clock. Whether you prefer relaxed and casual or dress to impress, the Roadster is always a perfect option.